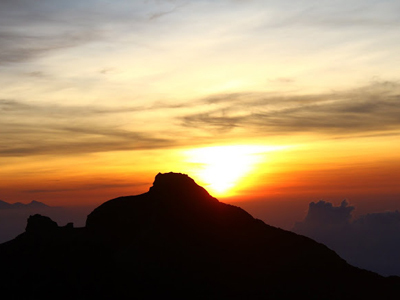 This program allows you to experience the best of what Bali has to offer. The journey begins in the trendy coastal town of Sanur. 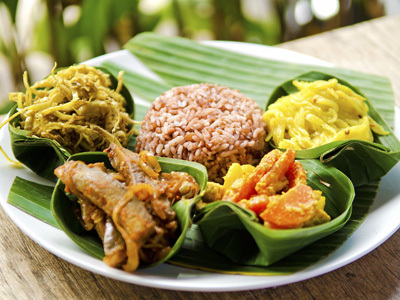 Here, you will dive into the colorful and exotic flavors of Indonesian cuisine. Next, you will make your way to the cultural heartland of Ubud, where your time will be spent exploring various temples, local markets, art villages and immersing yourself deeper in the culture, for an authentic experience. 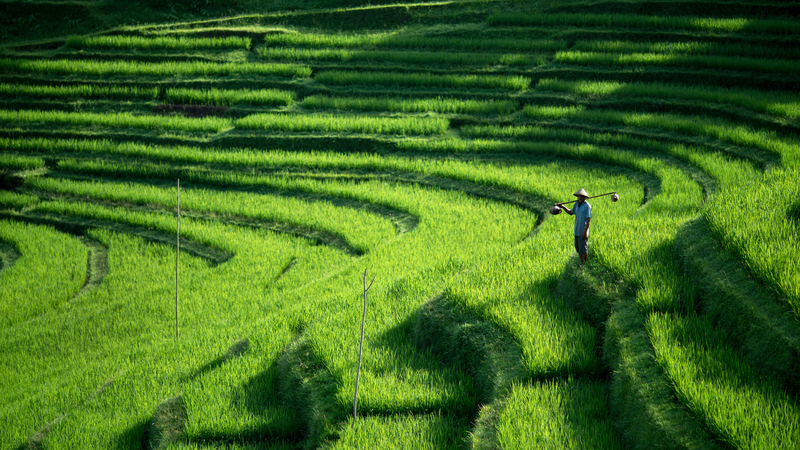 Continue off the beaten path, to enjoy a few days of peace and quiet in Bali's eastern region of Sidemen. Here, you will get to know the "real Bali", wandering through the emerald green rice fields and admiring Gunung Agung, even having the chance to trek to the top, if you're up for the challenge! Your journey ends in the southern coast of Jimbaran Bay, soaking up the beach paradise and sharing a farewell dinner with a Balinese Royal. Pack your bags and grab your camera... Bali awaits! Welcome to Bali! Upon arrival at the Denpasar airport, obtain your Indonesian visa on arrival, if you haven't already. Clear Immigration and Customs and proceed to the arrival area. You will be greeted by your driver holding a sign with your name on it, for your hotel transfer to Sanur. The transfer from the airport to your hotel takes approximately 30 minutes. 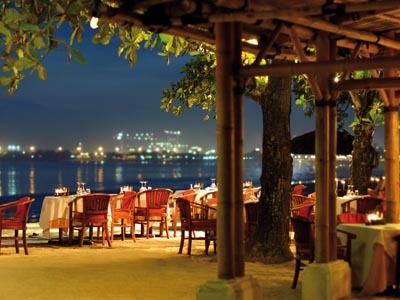 The seaside town of Sanur can be found on the tranquil south eastern end of the island of Bali. If you are seeking a quiet family friendly area that features golden beaches, restaurants, shops and traditional charm..then look no further. The vast stretch of powder sand beach blends into the turquoise shallow waters basking in the warm sunshine. Admire the many traditional jukung fishing boats that rest on the shore and decorate the sand with bright pops of color. After breakfast this morning at your hotel in Sanur, you will be met by your guide for your transfer to Ubud. 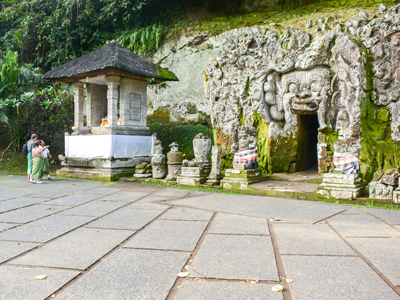 On the way to Ubud, you will have the chance to stop at the enigmatic site of Goa Gajah. A heavily carved cave that is known by locals as the “elephant cave”, this archaeological site has a mysterious aura around it. Make sure you walk to the river at the bottom and if you are feeling up for it, you can continue the walk all the way to the murals of Yeh Pulu. These 4th-century reliefs of Yeh Pulu have been carefully carved out of rock on the hillside. After plenty of time to admire and explore the art, you will proceed to your hotel in Ubud. 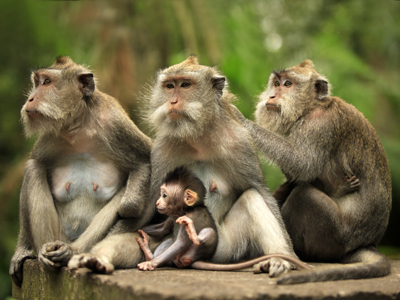 This morning, meet your guide and start the day with visits to a few of Bali's most sacred temples and religious sites. Start at the mysterious Goa Gajah, or Elephant Cave, a fantastically carved cave. From there, a short walk along rice fields and through a small village takes you to the 14th-century reliefs of Yeh Pulu, carved out of the rock hillside. You will continue your trip excursion with Tirta Empul. This rectangular pool carved of stone, filled with koi fish and fed by the sacred spring via 12 fountains, is a sacred place for purification ceremonies. Here, you can make an offering for your best wishes. Don't forget to bring a bathing suit and a sarong for this part of the day! Ubud is changing fast, and today you are invited to witness it's natural beauty at the golden hour of dawn. First thing this morning at 5:30 AM, you will be taken to Ubud Market alongside your private guide and driver. This is where you will begin your sunrise walk. Vendors arrive in the wee hours of the morning to sell vegetables, food and beautiful flower offerings, that you will see all over the island. This market transforms into a commercial affair by the mid-morning, so having the opportunity to see it at dawn is a unique and special experience. This morning, you will be picked up from your hotel and taken on a truly exclusive experience. This unique tour has been specially designed to reveal a behind the scenes look into the life of a Balinese artist. Today, you are given the chance to uncover the secrets of Bali's artistic soul. Although there are many attractions that make this island so enticing, Bali's soul and character is ultimately defined by its people. 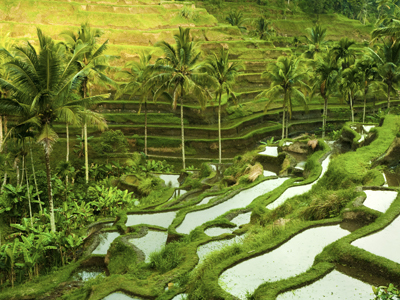 This destination has long been a magnet for the arts and Ubud is its epicenter. After a leisurely morning, check out of your hotel in Ubud and meet your guide for a full-day adventure to the rugged and mountainous eastern end of Bali, Sidemen. The day will start with a visit to one of the most fascinating markets in Bali, the Gianyar Pasar. With its stands of local food ranging from the ubiquitous babi guling (suckling pig), to the more hearty bakso (meatball soup), it is a great place to see and meet Balinese people in a daily life situation. Make sure you have your camera ready for great photo opportunities. 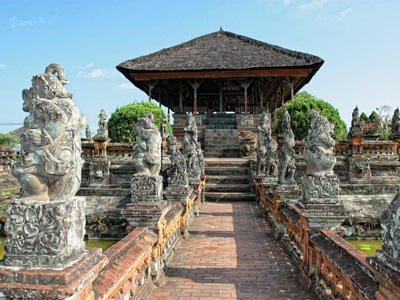 Your tour will continue with a visit to Klungkung to explore the Kerta Gosa (Hall of Justice). Some of the murals depicted here show the way justice was imparted in Bali. Sidemen represents the true Bali that most people still dream about, the Bali of years gone by. 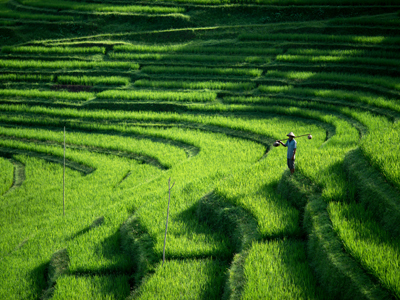 Here, a strong cultural identity and religious beliefs are retained and are reflected throughout the traditional Balinese communities of the Valley. With the dramatic Mount Agung, lush rice terraces that wrap around the hills and cascade down to the valley floor, one cannot imagine a more astonishing and spiritual location to be. Sidemen is really only just being discovered by main stream tourism and by those seeking the original Bali, yet look on any map and it is has always been there for everyone to see! Enjoy this full free day at leisure in Sidemen. You may want to relax at the resort and lounge by the pool, or take advantage of your stunning surroundings. Feel free to stroll through the luscious rice terraces and admire the scenery in Sidemen, with breathtaking views of Gunung Agung. This morning, you willl meet your guide and driver to take a trip on the way to your resort in Jimbaran. You will visit the city of Denpasar, and Puputan Square. By the late 19th century, the Dutch had already taken hold of much of Buleleng in North Bali and were planning an assault into the South, where the King of Badung was thwarting the full colonization of the island. It took the accidental sinking of the vessel the Sri Kumala in Sanur, and its consequent plundering, to convince the government in Batavia to invade Badung. Today in Denpasar, the site of the Puputan still stands at the square that bears the same name. The nearby fresh market and the Bali museum are good complements to a visit to the heart of the city. For those who want to experience Bali beyond the glossy magazine articles or hotel photos, visiting the square is a must. Afterwards, you will head over to the Museum Pasifika, an excellent private art museum with largely historic paintings from both Indonesian Artists, as well as collections from Asia and Europe. 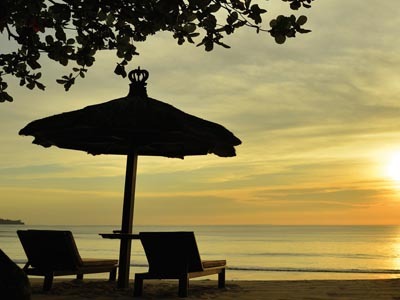 The Balinese village of Jimbaran embraces a charming bay on the island's southern coastline. Jimbaran is also home to a traditional fishing village and lively marketplace that survives on the diverse bounty of the sea. As one of the last days on your adventure, soak up this free time on this stunning island to the fullest. Take your camera out and go make some memories! Sadly, your journey through Bali must come to an end. Fortunately, you will be leaving with irreplaceable memories and experiences. Selamat Jalan– Have a good journey! Located in the calm and relaxed environment of Sanur, where centuries of Balinese art and cultural history have been nurtured, Sudamala Suites & Villas, offers you the perfect home for your Bali getaway. Like the surrounding environment, the property has taken great care to preserve the artistic and traditional values of Bali into the design of the resort. With modern amenities, you are guaranteed to have a comfortable and pleasant stay in one of the spaciously elegant and cozy rooms. Come and immerse yourself in the cultural soul, or “Taksu”, as it is known locally, to experience the resort's dedication in friendly local hospitality. The majestic Kayon Resort is perched on a hillside in Ubud, surrounded by the holy Petanu River and lush tropical rainforest. "Kayon" means "tree of life creations" and "secret that grows from earth towards heaven". Located in Kepitu Village, only a ten minute drive from the center of Ubud, this enchanting five star boutique resort is designed in complete harmony with nature. The guest rooms have been carefully appointed to the highest degree of comfort and convenience. The property also features a tropical outdoor pool, hot tub, spa and garden. Superb facilities, a romantic ambiance and ideal location, make the Kayon Resort the perfect base from which to enjoy your stay in Bali. Samanvaya, a small and intimate boutique resort, nestles perfectly on the sweeping rice terraces of the Sidemen Valley on the tropical island of Bali. The word Samanvaya comes from the ancient Hindu language of Sanskrit and translated, means ‘Harmony’, a perfect interpretation of the resorts stunning location and ethos. Only one and a half hours from the international airport and half an hour from the coast, yet Sidemen represents the true Bali that most people still dream about, the Bali of years gone by. Here, a strong cultural identity and religious beliefs are retained and are reflected throughout the traditional Balinese communities of the Sidemen Valley. Relax, unwind and embrace the island spirit at Belmond Jimbaran Puri. 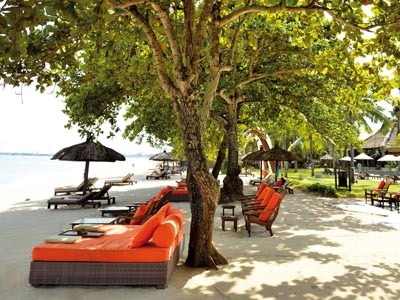 Powder soft sand and limitless blue seas, set the scene for this irresistible tropical retreat. As the sky turns crimson, birds sing overhead and the scent of grilling fish entices you to dinner. This property boasts a credible reputation as one of the most enchanting hotels on the island. Enjoy a massage by the sea, take a dip in the infinity edged pool, get lost in a good book from the library and inhale the fragrance of colorful flowers in the garden. Every moment here promises a memory to cherish.